A new lawsuit is seeking to block legislation approved by lawmakers this week which rewrote a voter-approved ballot measure expanding access to medical marijuana. The suit was filed by attorney Rocky Anderson on behalf of patient groups TRUCE and the Epilepsy Association of Utah late Wednesday night in 3rd District Court in Salt Lake City. It names Gov. Gary Herbert and Joseph Miner, executive director of the Utah Department of Health, as defendants. It lawsuit claims Herbert signed the bill “in direct contravention of the expressed will of the People” and “at the behest” of The Church of Jesus Christ of Latter-day Saints. The legal challenge centers around the bill lawmakers passed in a special session Monday and Herbert later signed into law. The law, dubbed the Utah Medical Cannabis Act, replaces portions of Proposition 2, a ballot initiative approved by 52.75 percent of voters last month. 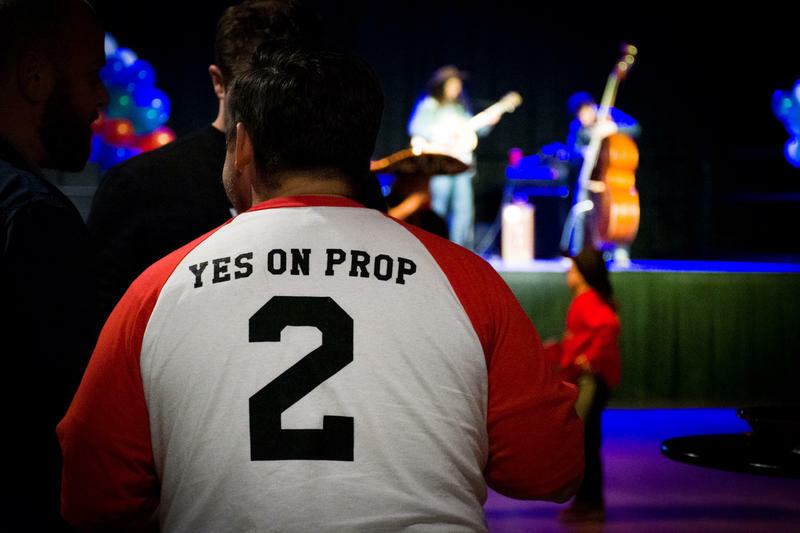 Anderson wrote in the complaint that the new law “materially defeats ... numerous core purposes of Proposition 2" and alleges that lawmakers violated Utah citizens' equal lawmaking power in passing a substantially different version of the law. The suit seeks an injunction to keep the state from implementing the new law. It also raises concerns about negotiating tactics employed by the Church of Jesus Christ of Latter-day Saints and its lobbyist Marty Stephens. It alleges the LDS Church unconstitutionally interfered in state functions and cites a “palpable disregard … for the democratic process” by the LDS Church and Stephens, a former Republican Speaker of the Utah House. Plaintiffs Christine Stenquist and Doug Rice, whose patient advocacy groups Together for Responsible Use and Cannabis Education (TRUCE) and the Epilepsy Association of Utah (EAU) are also named in the suit, say the new law will significantly reduce access to medical cannabis for some patients. “They just wrote me out of the bill,” said Stenquist, who uses unprocessed cannabis flower in a vaporizer, along with cannabis wax and resin, to treat her rare nerve condition and the chronic pain that accompanies it. “So it’s hard to see how this lawsuit is going to have much chance of success,” Cassell said. Stenquist acknowledged the lawsuit’s success is unlikely, but said she has faced that challenge before. “It may be a longshot – all of this – but we wouldn’t be here winning this debate on medical cannabis if I didn’t believe in longshots,” she said. Just two days after a sweeping new medical cannabis law went into effect, Utah lawmakers passed an overhaul of the measure in a special session at the state capitol on Monday. Two patient advocacy groups are threatening a lawsuit over The Church of Jesus Christ of Latter-day Saints’ involvement in the Utah Legislature’s planned special session to change the state’s medical cannabis laws. Dawn Nunn’s teenage son Alex died in August after he suffered a seizure. Nunn told a Utah legislative panel on Monday that Alex, who had autism, may have lived if he had been able to use medical cannabis under a voter-approved ballot proposition to expand access to the drug. Utah lawmakers are getting ready to meet in a special lame-duck session on Monday to rewrite a medical marijuana law that voters passed this November. Patient advocates are saying the move is an end run around voters. For the past year, Julie King, the mother of four from Saratoga Springs, Utah, has been a vocal proponent of medical marijuana after she discovered she has an adverse reaction to opioids.